Municipality of the Cilento area in the province of Salerno, Pollica is located at the feet of Mount Stella, between the mouth of the river Alento and the tip of Punta Licosa. The first historical report in which Pollica is named is a document dated 1113 attesting the property disposal of certain lands of Torgisio II Sanseverino to the Abbey of Cava de' Tirreni. 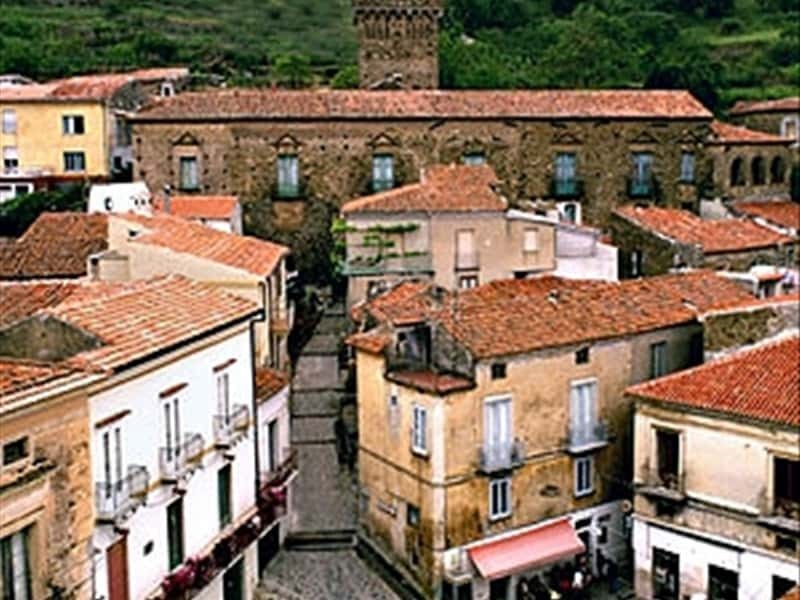 At the end of the XIII century, the village became part of a fief under the domain of the Alemagna, then it was ceded to the Capano, originally of Rocca Cilento. The princes of Capano ruled here, until the last heir died (1795), when the fief was inherited by the Lords De Liguori, that maintained their rights until the subversion of feudalism. - the Church of St. Peter, which is the oldest of Pollica. Built in 1524, it was of public oratory that belonged to the Pepe Family. The church, today desecrated, features on the entrance portal the family's coat of arms and inside, in the nave, a beautiful altar in polychrome marble and a stone holy water font. This town web page has been visited 46,881 times.